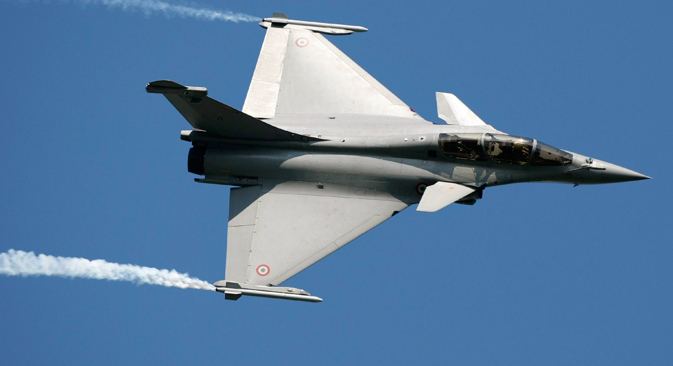 India must scratch the French fighter because inducting it in significant numbers will do long-term damage to the IAF as well as the country’s defence industry. The French Rafale might be an exciting aircraft with a lot of bells and whistles but let's face it, the plane is a budget buster. The Indian Air Force's requirement of 126 medium jet fighters will cost $20-30 billion upfront and another $20 billion for support systems and training. The deal will hollow out the Indian military as it will certainly divert funds needed in other critical areas such as artillery, submarines and radars. In this backdrop Defence Minister Manohar Parikkar's statement that extra numbers of made in India Sukhois and locally developed Tejas light combat fighters will do the job is to be applauded. Costs aside, there are other – equally significant – reasons why India should part ways with the Rafale with the following message: "It was nice meeting you. Have a nice life." It is a measure of the potency of Flanker series aircraft that not even the super expensive stealth fighters are safe. In 2008, a US air warfare simulation pitting F-35s versus the Su-35 (the latest version of the Flanker) resulted in a clear victory for the Russians. Indeed, the Flankers mark a shift in airpower from the US to Russia and the countries that use Russian defence technology. Whether in India, China, Indonesia or Venezuela, the Flankers have degraded the offensive and defensive capabilities of their western and west-backed opponents. Unlike the comparatively slow (Mach 1.9 or 1.9 times the speed of sound) F-35, the Sukhoi's blistering speed (Mach 2.35) allows it to impart a massive amount of launch energy to its air-to-air missiles, giving Sukhoi pilots a huge advantage in dogfights. However, the chief reason why the aircraft is so good even 30 years after its first flight is that the Sukhoi bureau's designers did not just aim for mere advantage over the then latest American aircraft -- they developed an aircraft that was several times more maneuverable. The Flanker was the first aircraft to boast supermaneuverability. The late Mikhail Simonov, Sukhoi’s chief designer, describes supermaneuverability as "a fighter's capacity to turn toward its target from any position in space with at least twice the rate of turn that the enemy fighter is capable of". The Rafale may be an ultra modern aircraft but it can't outrun or outgun a Russian Flanker. So nobody should shed any tears that the Rafale's obituary is being written in India. Western countries buy weapons only from each other. Therefore, the BRICS should also acquire weapons from member states in order to boost each other’s defence sector. Except when a particular technology is not available in a BRICS country, it makes absolutely no sense to buy arms from the West. The BRICS are not just an economic group but a political force as well. The five-member group aims to lead the emerging world into a more equitable economic system than the current one designed by the West. Arms trade is one of the world's largest income generating activities and forms a good chunk of the GDP of many countries. When India buys weapons from the West, it is simply making these countries richer. Plus, India is rewarding the very countries that are trying to destabilise it. An Intelligence Bureau report has identified several foreign-funded non-governmental organisations (NGOs) that are “negatively impacting economic development”. The 21-page IB report reveals that “a significant number of Indian NGOs, funded by some donors based in the US, the UK, Germany, the Netherlands and Scandinavian countries, have been using people centric issues to create an environment which lends itself to stalling development projects”. The report doesn’t mention France, but France is a Catholic country and the Roman Catholic Syrian Christian church of Kerala has at least on one occasion (in the 1950s) taken money from the CIA to destabilise a democratically elected government. Let’s say India is at war, resumes nuclear testing or test fires an ICBM that can reach the US. What is the guarantee that in such circumstances France won’t cut off the supply of spares under American pressure? That Paris is susceptible to American pressure was clear when it welched on the deal to supply Mistral helicopter carriers to Russia. The first Mistral vessel is currently sitting in the French port of St Nazaire but France doesn't have the balls to let it sail out to Russian waters. In December 2015 a 400-member Russian crew left after spending six months on the ship after Paris postponed the handover indefinitely. Russia now plans to construct its own helicopter carriers after extracting a huge cash penalty from France, but that could take several years. The Mistral betrayal should alert Indians to how interlinked western countries are when it comes to policy matters. That France is ready to consign thousands of its defence industry workers to the unemployment heap just to please the Americans should scare the living daylights out of anyone planning to buy French weaponry. Sure, once upon a time France used to be a reliable supplier. The Mirage-2000, for instance, has served India well for over 30 years and after an upgrade the aircraft is good for another 15 years. But that deal was struck when Paris was pursuing an independent foreign policy. Today, it has moved back into NATO and is solidly behind the US in all its foreign misadventures. If France can show Moscow the finger, then do you really think they care a rat's tail about India? Dassault has refused to guarantee the Rafales to be manufactured in India, which suggests they have a low opinion of Indian manufacturing. Agreed, India is not Germany or Japan. But if Intel can develop chips in India, and the US can source helicopter doors from Tata, then what's France's problem? It just shows plain arrogance and complete apathy regarding India’s defence requirements. To licence-build the Rafale, India will have to construct an entire new factory – that is, re-invent the wheel. On the other hand, Hindustan Aeronautics Ltd has been producing Su-30 MKIs and can crank up production by merely adding an extra assembly line. If war breaks out, there’s nothing more reassuring than to know that aircraft lost can be replaced by home factories rather than imports. 5. Why buy a clone? Acquiring the Rafale is almost like buying a scaled down Su-30 MKI. Why pay more for an aircraft that is less capable than what India currently operates? And if the IAF wants more medium fighters, then what's wrong the highly capable MiG-29, which is even flown by some NATO countries? The Indian government has just ordered a cut of Rs 13,000 crore in the capital outlay for the army, navy and air force in the current fiscal. If the IAF still wants to go ahead with the deal at the risk of busting the defence budget, then the only explanation is that big money has changed hands at the highest levels. Because military deals with Russia are finalised at the government to government level, kickbacks are ruled out or unlikely. That would explain the defence brass’s penchant for 'diversification' and non-Russian purchases.